I am writing to let MIM comrades be informed on ever more injustice in our so-called system. As of today I have been awaiting trial almost four and a half years, since I was sixteen years old. At sixteen I was placed in a juvenile facility, then the day after my eighteenth birthday was placed in West Valley Detention Center for women in California. There is not one program at this facility for those awaiting trial - we barely have a library that contains mostly old romance novels. I am not even convicted and have no access to any legal or educational materials. The facility will only provide "Christian" religious materials so any other religions basically do without unless materials can be provided by the outside. We even have some of our religious materials sent back saying they are "gang-related materials" because they are not common beliefs. How am I to defend myself if I can not get any law books, or educate myself with no real library or any programs? I am 20 years old and have been facing 25 to life since age 16. I now sit idle with my life in the hands of California's injustice system. Those who have no financial support must also do without personal hygiene and writing materials as these things are not provided free to indigent inmates. Our canteen prices are so high you'd think they could pay to provide us with something! At least get rid of all the gnats, roaches and rats in our facility! Some prisoners here are even kept in ad-seg for their whole waiting process with no real infractions. 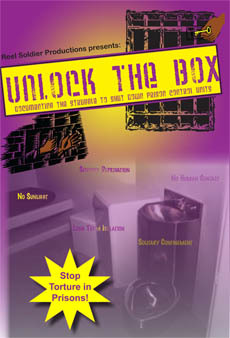 I am only one young female inmate and I need the help from my comrades to fight this ridiculous system. I hope to be able to help in this fight, but I can't do it alone. In MIM Theory #13, there are many good articles that I have gotten to read at this point. There was one article that was dwelling on me, page 16 "on Prison Leadership". I must agree that many prisoners take up leadership positions and have no type of influence. But I must say that this dilemma is not only happening inside prison, this should also pertain to leadership outside as well. Yes a lot of leaders tend to blame others for not being able to move forward and disregard that the ones at fault is the leadership itself. I myself belong to a group in which is considered to be a security threat group to the system. I would say I belong to the Latin _________. The rest I will not document on paper due to the fear that the pigs will intercept this letter and charge me. My Nation was built on the revolutionary mentality inspired by the writings of Karl Marx & Lenin. But sadly I must say that my Nation has long abandoned the political ideology of our scriptures. This I blame directly on leadership & the lack of knowledge. Many so-called leaders take up these positions & have no type of knowledge of the political ideology of the movement. Leadership should be a commitment, not only to the group but to the people. Leadership should be equipped with the revolutionary mentality in order to teach & lead, not just a title being held for personal gains & recognition to benefit him/her self. Another issue that the New York prisoner spoke about was the issue of being able as a group to come together & speak about problems at hand. I remember when I was in the gang unit, we did a project I believed was called "Combat Liberalism." Where it spoke of problems by members discrediting the function by spreading rumors, instead of bringing it to the group as a whole. I believe in communication, if this cant be done as a group, this will only create a division amongst members & this is something that should never be allowed. Being able to discuss issues collectively as a whole is a sign of unity & understanding amongst each other. The New York prisoner also spoke about the silly acts of some prisoners, by cursing and spitting at the pigs. I do agree that those types of behaviors are not only silly but stupid. The only way that I believe that you can prove your revolutionary stance inside this oppressive hell hole is by organizing & waging war with the pen & paper. 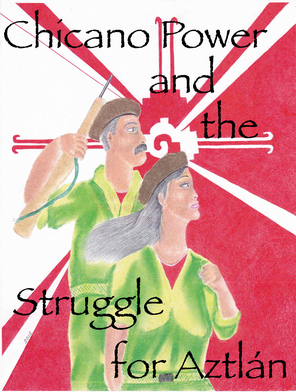 A Clenched Fist to all in the struggle!! !